Leather Seats, Heated Seats, Power Tailgate, Remote Start, Rear View Camera! 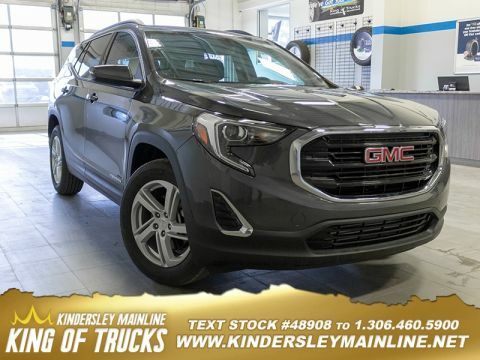 This 2019 GMC Terrain has awesome engine options and amazing features, making it an easy standout in the compact SUV segment. 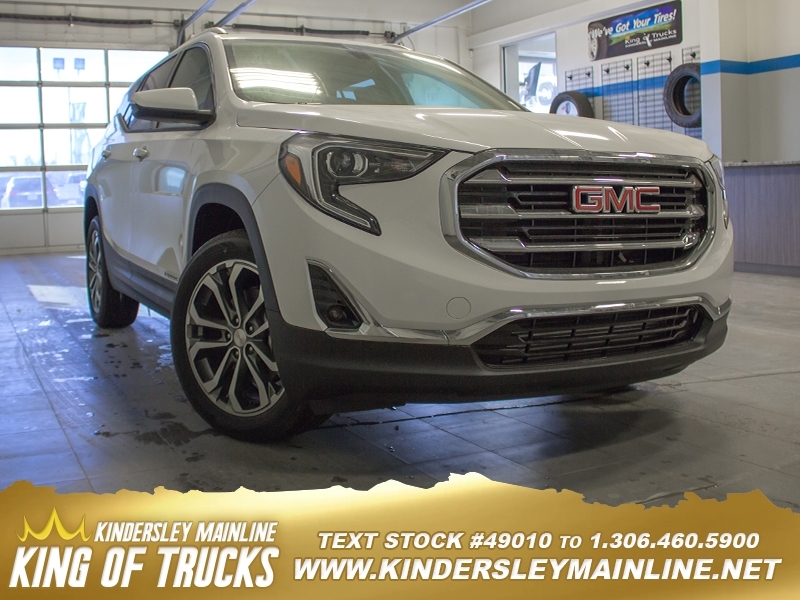 This gaz summit white SUV has a na transmission and is powered by a 252HP 2.0L 4 Cylinder Engine. 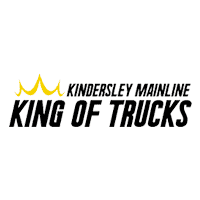 Our Terrain's trim level is SLT. 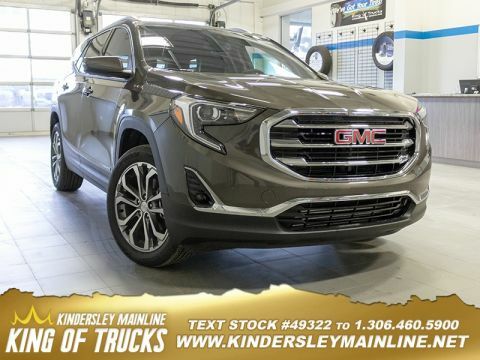 Stepping up to this luxurious SLT Terrain will add a hands free power liftgate, memory settings for driver seat and side mirrors, leather seats, heated steering wheel, 110V power outlet, interior ambient lighting, dual exhaust outlets, fog lamps, and a universal home remote to the amazing standard features of the SLE trim. This crossover also has a trailering package with a hitch receiver and wiring, aluminum wheels, active aero shutters, automatic on/off headlamps, LED accent lighting, Driver Information Centre display, 4G WiFi hotspot, heated power front seats, rear charge only USB ports, remote start, Teen Driver Technology, heated leather steering, dual zone automatic climate control, flat folding seats including front passenger, GMC Connected Access, keyless open and start, an 8 inch touchscreen, Apple CarPlay, Android Auto, voice commands, SiriusXM, Bluetooth, and USB and aux jacks keeps you connected. 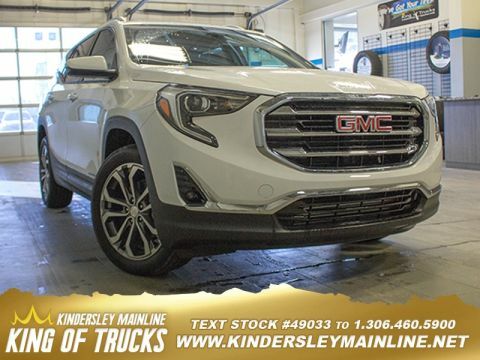 This vehicle has been upgraded with the following features: Leather Seats, Heated Seats, Power Tailgate, Remote Start, Rear View Camera, Bluetooth, Siriusxm.